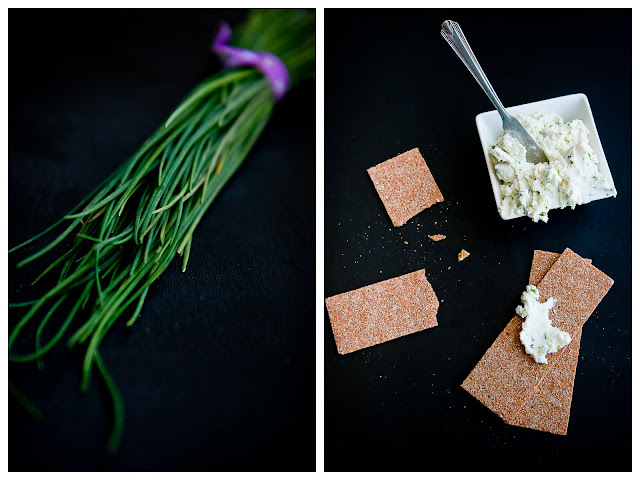 This savory pancake recipe comes from the pancake tasting menu that I made in Los Angeles a few months ago, and it has its original inspiration in Los Angeles, too--all starting from this garlic-chive goat cheese spread. 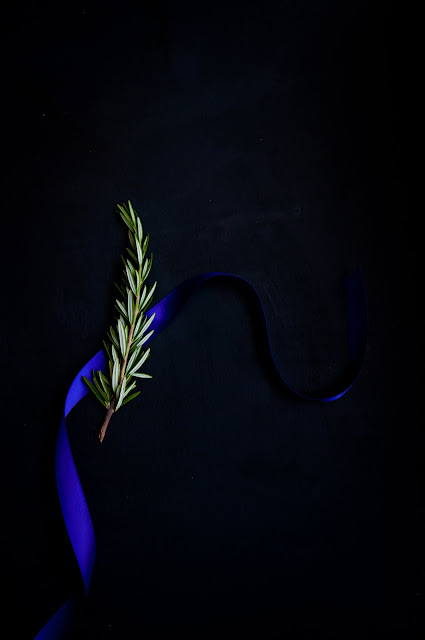 While this isn't the first time I've put rosemary in pancakes, it is the first time I've paired them in a savory pancake dish, and I love the way they, along with the robustness of the whole wheat, worked out, providing a wonderfully herb-y undertone to the whole dish. The garlic-chive goat cheese spread packs most of the punch and flavor here. 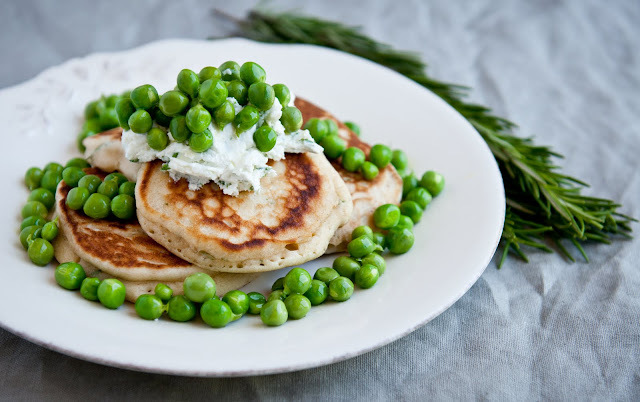 Finally, fresh, crispy sugar snap peas lightly steamed and tossed in a bit of olive oil and salt add the perfect textural crunch and snapiness to lighten up the creamy goat cheese and dense whole wheat pancakes underneath. Note that the recipe provided for the garlic-chive goat cheese spread below might yield more goat cheese than you'll need for the pancakes. But, don't fret! Grab some crackers or a baguette or a Persian wrap (I know, some will call me sacrilegious!) and your leftover goat cheese will disappear before you know it. 1. In a bowl, mash together the goat cheese, garlic, and chives with a fork until well-combined. Tip: How much garlic to add will actually depend on how pungent your garlic is, so the best way is to flavor to taste. Tip: The easiest way to chop chives is to bundle them together with a rubber band and cut small pieces from the bundle using kitchen shears. Move the rubber band as needed. 1. Combine milk, eggs, and melted butter in a bowl and whisk thoroughly. 2. Add the whole wheat flour, baking powder, and salt and mix until smooth. Batter should be thick and just barely runny, but if it's too thick and difficult to stir, thin it with an extra dash of milk (this might especially be the case because of the whole wheat flour. Use 1/4 - 1/2 oz. milk extra if needed). 3. Mix the chopped rosemary into the batter. 4. Oil lightly a medium hot skillet. Cook the pancakes slowly over medium heat. 5. 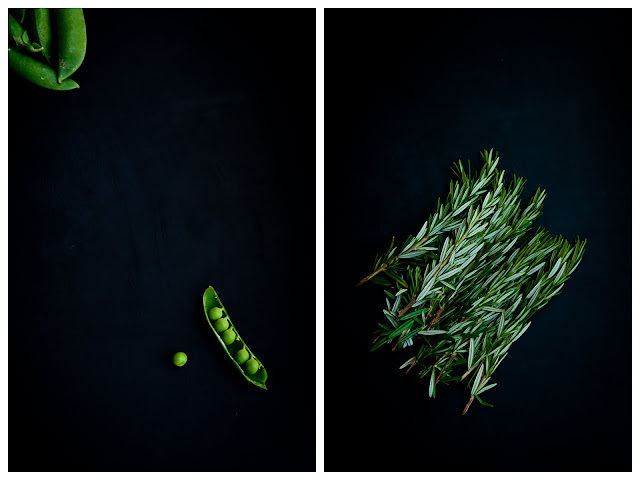 Meanwhile, steam the peas over boiling water for two minutes or until they turn bright green. 6. Remove the peas from the steam immediately and run under cold water. Toss with olive oil and salt to taste. 7. 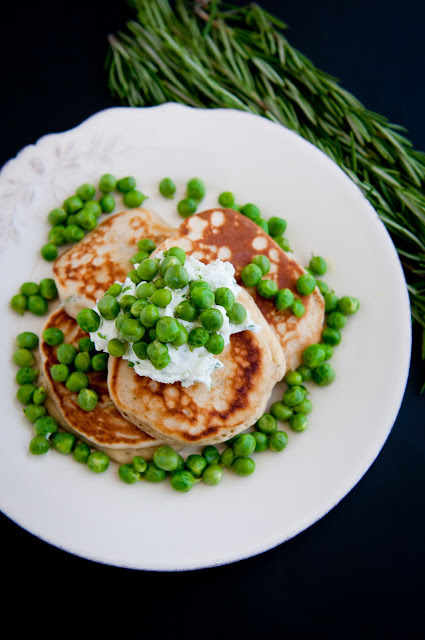 Serve the pancakes with a dollop of garlic-chive goat cheese and a mound of freshly cooked peas. Lovely photos. The peas are so green and so fresh. And lovely blog you have. This looks like a great recipe. Neat! 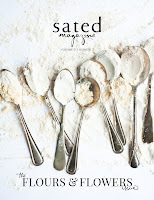 I'm always trying to spice up the starches I pair with the awesome seasonal veggies available now - love this idear. This is so unusual and it sounds amazing. I am going to put this in my bookmarks and hope to make this soon. this is totally my idea of pancakes. goat cheese makes my world go round. Every week I am amazed by the wonderful pancake combos you come up with! 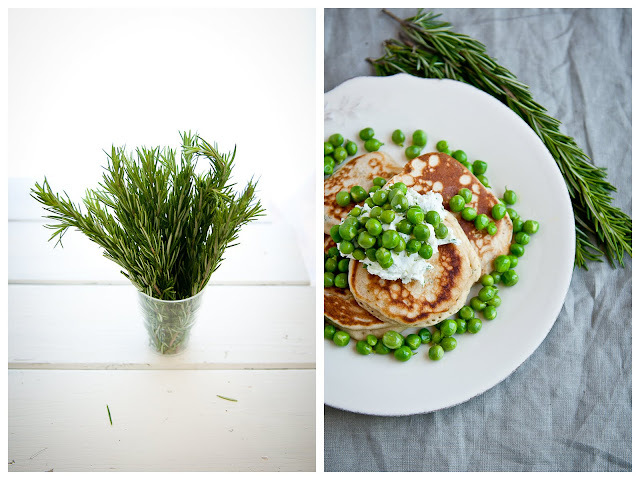 I love the idea of savory pancakes as is, but you take them to a whole new level! 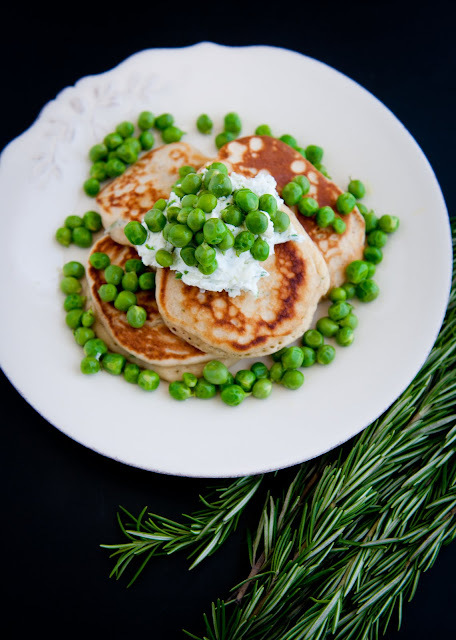 @ovenhaven: you should totally try savory pancakes--super yum! Oh my, savory pancakes! These look yummy and your friend looks so fun based even just on that photo :). Wow - these pancakes look completely delicious. And your friend has a lovely layout ( I'm a dancer too :) ). @Geek+Nerd: thanks! my friend was a gymnast, and i often envy that she still has all of the moves down! Is a new type of fusion cusine? Like breakfast foods made w/entree items? Like on Chopped. I might add some crumbled bacon and melted parmesan cheese. I'm cool w/the peas but would still like a fresh salad on the side. Now I've gone and made myself hungry. Well anyway, I like it, or would like to try it at least. I posted the above comment and forgot to add that the picture is what makes me want to eat them. I admit the ingredients are a bit out there for me. But the pic says "Wanna try Savory New?" in a sultry, intriguing tone. 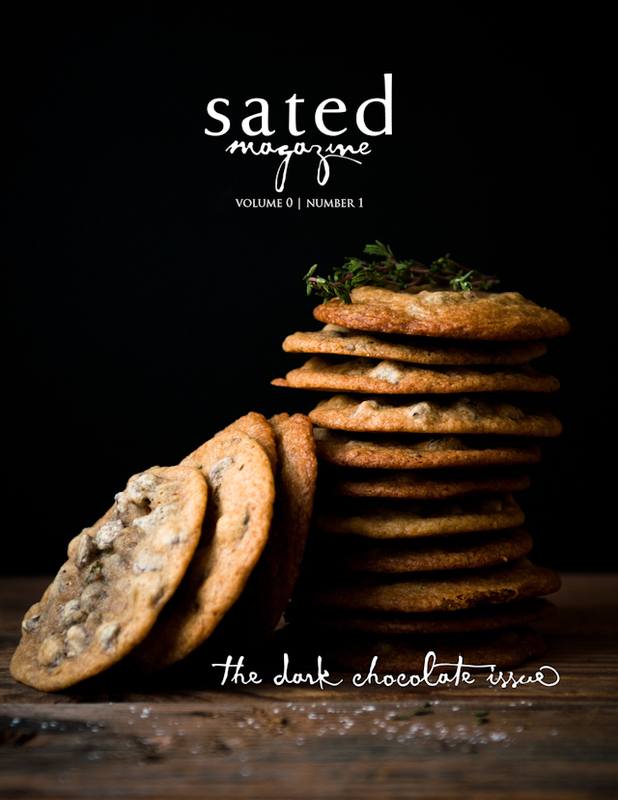 Savory new instead of something new. I don't know the pic and ingredients inspired some odd ball creativity in me. 2 thumbs up.